GTX 1060 Review - Is It One of the Best GPUs Available Today? GTX 1060 Review – Is It One of the Best GPUs Available Today? For non-PC gamers, graphics are usually a pretty simple subject to understand. You go with what your console gives you, and enjoy the ride. The only real type of decision making or debate that goes on in the console community usually involves which console is superior in terms of graphical capabilities. While Xbox and PlayStation fans may be in a debate that seems unending, it pales in comparison to the complexities of PC gaming. Looking Deeper at the GTX 1060: What Are the Hardware Features? What Other Applications Can the GTX 1060 Be Used For? GTX 1060 vs. RX 480: Who Wins This Close Race? Final Verdict: Is the GTX 1060 Worth It? But for those who do choose to game on their computers, the process of deciding between graphics cards isn’t a task or even a matter of bragging rights, contrary to popular opinion. It’s fun, and it ties right into what makes custom PC building such an exciting process. The idea of discovering what graphics card is best for your preferred games, which component works best within your setup, and which option offers the most value involves a lot of calculations – it’s right up the ally of most PC fans. Even those who are buying PCs that are prebuilt know the value of researching graphics cards beforehand. And today we’ll be taking a look at one of the most impressive offerings on the market – the GTX 1060. There are plenty of great graphics card on the market. Top developers like Radeon, Nvidia, and others push themselves every year to deliver the latest and greatest devices for making pixels pop right off monitors. This just isn’t about making sure you can see every shadow on the game you’re playing. It’s about enjoying these little extras that really make you feel immersed in the game. Think about things like cloth physics – whereas console gamers may see a character’s clothing look like a cutout taped to their body, PC gamers with the right cards will see a beautiful, realistic array of wrinkles and waves corresponding with the wearer’s movement. Think about Bayek’s cloak in Assassin’s Creed: Origins, or Batman’s cape in Arkham Knight. You just can’t get those effects on console. Great graphics cards help you enjoy things like improved water physics, where you can see ripples with the wind, suds dissipating after a splash, and the sun reflecting off the water’s surface. It’s how we expect to see things in real life, and graphics cards are getting closer and closer. The GTX 1060 is built to offer gamers all these possibilities and more. It was originally built as a direct competitor (or seemingly so) to AMD’s RX 480 – a powerful card built for 1080p gaming and VR games. This is where the 1060 excels as well. But what exact specs does it use to achieve these settings? As we can see, this card has the specs where it counts. Not only can gamers utilize a multi-monitor setup, but they can expect to enjoy smooth framerates on even the most graphically demanding games out there. The GTX 1060 has the distinction of being one of those “safety cards” PC gamers flock to. What does this mean, exactly? With a card like say, the GTX 760, gamers will get a solid product. They’ll be able to enjoy HD games and even turn the settings to high on most older games. But when you upgrade to the 1060, you open yourself up to more possibilities. There will be few games you can’t run on 1080p on high-to-max settings with a smooth framerate. Yes, there are those notorious system melting games that are hard to run on a 1060. But those games are often designed to be hard to run – that’s the idea behind them, even if their graphical load to bear doesn’t always add much to their overall look and performance. The 1060 has seen a lot of positive performance reviews, but let’s look more in depth about how it actually performs – not in terms of benchmarks just yet, but how the hardware inside Nvidia’s juggernaut contributes to the card’s overall performance. When it comes to a great graphics card, it isn’t just about how many frames you can get on Grand Theft Auto: V – but, FYI, this one could push it to 60 on high settings. Graphics cards are more about architecture and hardware design at their core, as they’re not just an individual component of a bigger system. They’re also systems in themselves, compromised of a number of different parts, each having its own distinct function. What are these functions? Let’s start with one of the most basic: power. Your card can have so many cores you can’t count them, and a clock speed that just keeps climbing – but if it doesn’t have power, you won’t be gaming at all. You won’t be editing videos, surfing the web, or doing anything with your monitor unless you revert back to the onboard graphics. But the GTX 1060 has a single six-pin PCIe power connector – a standard offering for many modern cards in the mid-to-high end range. But what’s not so standard is the 1060’s 120W TDP. This makes it massively more efficient than most cards in terms of power consumption, a trend that was also present in the GTX 980 (165W) and the 1060’s primary competitor, the RX 480. It’s a trend that is a testament to the PC industry’s commitment to energy efficiency. Not only do video cards with lower rates of power consumption help conserve energy, but they last longer. And they take less of a toll on the power supply, making it a bit easier for the rest of the system’s components to get the resources they need. Synergy demonstrated once again as the core idea behind PC builds. But beyond the power connector lies the Pascal chip. The GP106 is the heart of the card and offers comparable power rating to the 1070 and 1080 – if half meant cut in half. Still, though, if you got half a cut of a lotto or casino jackpot, there wouldn’t be a need to count your losses, right? While this card only has about half the power of those cards, it has 80 texture units which means it can still work for those higher-end games. There’s also 192GB of memory bandwidth, which itself constitutes a huge improvement from the GTX 960. The bottom line? The 1060 is way above the next model below it, but not far behind the ones above it. It’s a value card, with those beyond sometimes accused of diminishing returns – but those beneath sometimes being just shy of an industry standard for 1080p graphics on high-to-max settings. But let’s not forget – the graphics card is not just popular for gaming. While we can all realize that graphics processing units are an integral part of a gamer’s vocabulary, there are those who use GPUs for other practices that aren’t always gaming. Some of them may be using it solely for gaming – and nothing more. But that means they’re likely professionals or at least highly passionate hobbyists, as this card constitutes a powerful tool for graphical editing arts. But, even then, for a card that retails between $200-$300, it is easy for it to be used by beginners in these areas as well. One of the most obvious reasons a person will need a high-end graphics card with plenty of processing power and shading units is for graphic design. Those artists who use their computer as a canvas make beautiful 3D models, complex animations, and extremely detailed photography/videography projects. As you may imagine, this can be rough on video cards not built for the task. Even if we do enjoy HD streaming and thus the industry has been optimized for this, not everyone needs to engage with demanding animation programs or complex editing suites. When it comes time to upgrade your hardware for the task, the 1060 is a great option to consider. Again, it comes back to value – someone may consider buying a lower-level card to keep themselves comfortably under the $200 range for a new card. But should they? Again, even the 960 is around that range. You’d have to go down to the 760 for that, which, while not a pushover card by any means, is a clear step down in performance. On the other hand, you’d have to be handling some truly complex animations for the 1060 not to operate well enough. In that case, even the 1070 or 1080 may struggle. For some cases, graphic artists will even use dual cards to help them share the load evenly. The crossfire or SLI method can be very helpful for those who have higher needs. In this case, it may actually be overkill to run multiple 1070 or 1080 cards. Therefore, a case could be made that, in rigs that warrant it, the 1060 is the best value card. Think about how professionals would consider the task – imagine a company that handles graphic designs and animations. They know their ability to make good work and retain clients depends on getting the right card. It is customers like these who are also important when NVIDIA is refining their cards each year. While gamers make up a big part of the audience, it is also video editors and digital artists who need powerful graphics cards. Even hobbyists need the right equipment for the job, and a 1060 is a high-quality value option. But for the sake of understanding how the card looks when compared to those in the same class from other manufacturers, let’s give AMD’s RX 480 some time to shine. 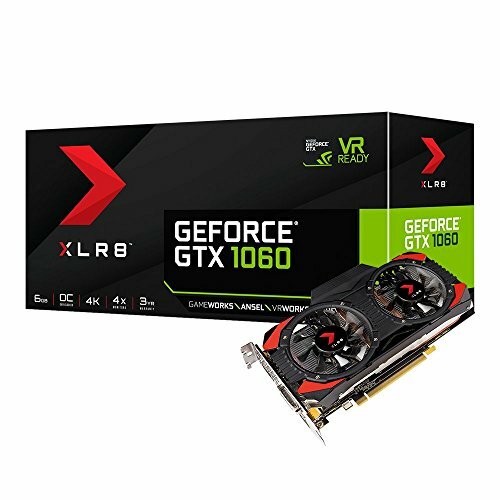 When it comes to value, GTX lovers will automatically look to the 1060 if they want something on the high end of the scale. Let’s be clear, though – AMD is still a powerful name in the gaming industry. The RX 480 proves this. Not only is it highly rated, scoring in the 4-5 range on most standard five-star scales, but it is used in many popular prebuilt PCs. A great example is the GXiVR8020 series, a partnership with fellow tech partner CyberPower PC. While the modern version has the 580, the 480 was the card of 2017 on the AMD side. But not only is the 1060 a bit ahead in terms of memory speed, but it also has higher clock speeds – both base and boost. 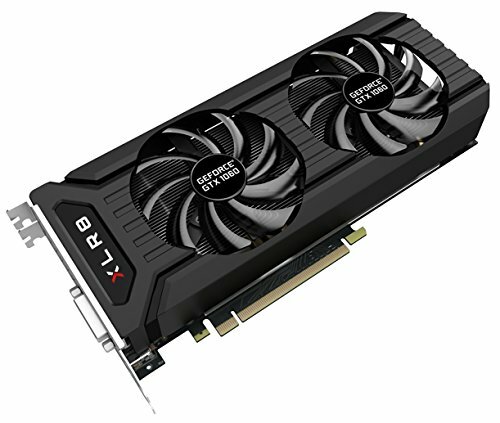 The RX 480 blows it out in the bandwidth category with a 10-percent-plus advantage and a 256-bit memory base to the 1060’s 192-bit. Yet the point that could put the 1060 over the edge is the 120W TDP – about 20 percent better than that of the 480. AMD’s offering may be a great card, but there’s no denying the 1060 could easily be called as good of an option or better in this category. The GTX 1060 is unquestionably a great card. It could be called one of the best value-based options on the market. When a person is thinking about how to choose a card, a few things come to mind. Does it have the specs necessary for the tasks you want to complete? And just as important, does it offer great value for the money? The best way to handle the decision-making process is to list out your preferred applications and look up individual benchmarks. But, in a general sense, the GTX 1060 is easily one of NVIDIA’s best cards for the mid-to-high range rig. If you’re not running a company bringing in thousands a week but you still find integrated graphics far too limiting, the 1060 is a great spot in between to land. The GTX 1060 is considered to be one of today's most reliable GPU available. As budget-friendly device that will deliver excellent performance, it is a great investment for gamers out there.